We’re what professionalism sounds like. The perfect soundtrack to the best day of your life, spun with your wedding or event in mind. 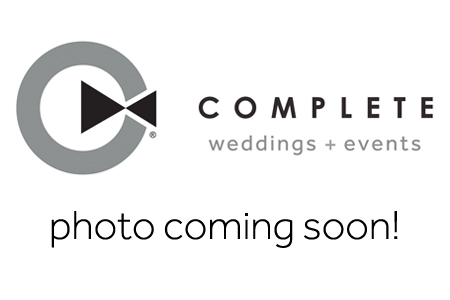 The DJs of Complete Weddings + Events Bentonville will keep you and your guests dancing till the reception ends. Austin was awesome as our DJ, he listened to our need with what we wanted and did not disappoint! It was nice how he would check in with me during the wedding to make sure everything was going the way we wanted. He was great!! I loved how attentive your employees were on the wedding day. The DJ, Photographer and PhotoBooth operator were all very professional and helpful throughout the entire day. They kept me comfortable and stress free the whole night! Our dj, Austin, was very professional and accommodating. He played great music and fun games with us and our guests. Booking with Complete was easy as well and they have a great music selection. 1)How would you describe your DJ personality/style? 2)Why did you become a DJ? Music is fun, and I’ve been making playlists and the like for a long time anyway. Might as well make some money off of it! 3) What is your theme song/best song that describes you? 5) If you were stranded on an island where you were allowed to have 3 items, what would they be? A multitool, a laptop, and a hardback copy of the entirety of Wikipedia. Kyle was amazing! He was so flexible to accommodate what we wanted and he offered to get me and my husband drinks/food/whatever we needed all night! He did a great job!!! Both photographer and DJ were super nice and helpful!! Amazing dj and videographer! I am so happy, they did great on everything. Kyle and Sam were absolutely amazing. They kept the night moving perfectly, and they worked it out for us to have exactly what we wanted. We received so many compliments on how awesome the DJs were! Our DJ Rachael was tremendous! She did everything we asked of her and more! We could tell she was genuinely invested in making our day special and it made all the difference in the world! They even brought our food and drinks over to us. Very well done! Everyone really enjoyed the photo booth and the DJ. Both girls did a great job. Everyone was so incredibly nice and fun! It felt like they were guests who were just super attentive to our needs! I hope everyone had a blast! 1) One or more fun facts. “I was part of the Missouri State Pride band all through my undergraduate career. I played Trumpet for 3 years there and I was one of the Drum Majors for 2 years. I’m still in the Pride Band during my graduate studies while I work with Complete. Sam was the most helpful professional I've ever come across. He was able to answer my questions, give guidance, & carried out the day's ceremonies with artistic skill. He had to assist me in filling in the gaps of my song list & did so beautifully! I was thrilled at how the music and announcements were carried out. Thanks Sam, two thumbs up. Our DJ was so fun and super nice and was awesome to have on our special day! We played great music and even participated in dancing with us, he was so great. You guys kept the party going, even when the party was down to the last 15 people. I appreciate everything you guys did for us from taking all of my requests and making them a reality to tackling the things I wasn't prepared for and making sure I didn't have to worry about a thing. Also, thanks for helping my baby win the Survivor game do he could DJ his favorite song, he has told all his friends he DJ'd my wedding ? Thanks again! The people were great to work with. Sam (DJ) worked great with the crowd and really kept the night moving. Tyler (video) was amazing! Great to work with. He made it fun and it never seemed awkward or in your face. Excellent communication. Sam went above and beyond to make our wedding reception a 10! Sam was an awesome D.J. I would strongly recommend him to anyone. If we are in need of a D.J. for next years prom I will be giving you all a call. Why do you like performing at weddings? I like to have fun, and I like to make sure everyone else does too. List one or more fun facts about you that most people do not know? I can out-eat my husband at a buffet – I can play the Ukulele – I like to think I can sing and will have my very own concert in my car and shower. Why did you become a DJ? Initially, I wanted to step out of my comfort zone, be more interactive with people, and overcome my struggle with anxiety. Plus, it was something I always wanted to try and it looked fun and exciting. Mikaila did an incredible job as our wedding dj! I would give her more than 5 stars if I could! She listened attentively to my requests, had great suggestions for special moments that I forgot to plan ahead, was flexible when I changed my mind twice at the last minute on a couple things and went way above and beyond what was expected, she knows how to keep the vibe going! I was so impressed! I would highly recommend her, you will be so glad you hired her! Thank you so much for making my wedding day music so magical!!! Complete was super easy to work with and did a great job at our wedding. DJ Mikaila was so fun and taught all of kids how to do several line dances. We all had a fantastic time. I would highly recommend. Wow! Mikaila was wonderful all evening. She was attentive to our needs and did everything we asked her to do so that we could either talk to friends without shouting or we could get down and boogie (as best that we 73 year olds could do). She provided all the songs we requested and added songs our guests wished to dance to. We really appreciated her providing some dance instruction to our children and grandkids. The evening was quite a success and she was a big part of it. We are very happy with your DJ service and with Mikaila! Thanks for helping make our 50th wedding anniversary party a huge success! Mikaila did a fantastic job of interacting with the guest and keeping them involved. We loved our DJ, Mikaila! She was great, and we received so many compliments from our guests about how awesome our DJ was. She made every one feel comfortable, and played some great music. She definitely took care of Tyler and I & made sure we had everything we needed. Mikaila was fantastic! Working with her we got so much more than a DJ. There were hiccups in the schedule (as there always are on wedding day) but Mikaila kept everything moving and under control. She actually brought us our food at our wedding to make sure we got to eat! She also helped my husband and I plan surprises for each other (signing and special dances) and that made everything so special for both of us. We would highly recommend her to anyone! 1) What is your theme song/best song that describes you? 2) How would you describe your DJ personality/style? 3.) What’s something interesting about you that most people don’t know about? Mexico, Germany, Austria, Luxembourg, Switzerland, England, Jamaica, Puerto Rico, Dominican Republic, Bahamas, Belize, Honduras, Barbados, St. Thomas, St. Marteen, St. Lucia. Tommy our DJ was amazing from start to finish. He helped us relax and enjoy our big day! He pointed out things we needed to square up and truly is a master of his craft. He stayed in constant contact and delivered everything we asked! Tommy Thanks for being so amazing! You truly helped make our wedding day incredible! Tommy did so great. The wedding ceremony and reception flowed beautifully because of him. He helped us out with a couple of our song choices which turned out to be excellent picks. We decided last minute to pay him for an extra hour of DJ services, which I felt kind of bad about asking him to do, but he never complained and he kept our party going! Thank you guys!! We booked our photographer, DJ, and photo booth. Cassie, Gabby and Tommy were all amazing and so outgoing. Cassie and Tommy as a duo is an absolute must for a perfect wedding! We cannot say enough how great they were. One good example, I forgot a few songs we were supposed to have for our wedding and Cassie asked about what we wanted to have. I was freaking out a little on the inside but she suggested some songs and they were all really good love/wedding songs and she went ahead and told Tommy what we wanted so we didn't have to worry about it. Tommy interacted with the crowd and with my wedding party, he also played great music! Tommy was so incredibly friendly and helpful. He was definitely the life of the party. We had Tommy as the DJ and he did a wonderful job. I had many people say how interactive he was and really got people up and moving. Thanks for making our daughters wedding wonderful. Taylor was our videographer. He was so respectful of our photographer. Great at communication. I know he captured every moment we needed him to. Both are highly recommended. Tommy our DJ was great! He listened to all of our requests and checked with me through out the night! We had such a great time he definitely made our night so special! I don't think there was a time that the dance floor was ever empty which was exactly what we wanted! Great service I would absolutely recommend to a friend! Tommy you're awesome! 4) What is your theme song/best song that describes you? 5) Why do you like performing at weddings? I love being in charge of the party! Jesse is absolutely phenomenal as a DJ and as a person! From days before the event, to the end of the event, he went above and beyond to make sure our event (quinceañera) ran as smoothly as possible. He was so personable and professional with us and all our guests, and shook their hands & greeted them as they came in. We had a musical guest performance and he worked so well with them! He kept the crowd on the dance floor and made sure the guests had fun!! My family and I cannot say enough great things about him (and even our guests complimented him the day after), we are so grateful for him and for being so flexible throughout the night. COMPLETE DJs are simply the BEST! We booked a DJ for our Middle School end-of-year dance... And he was great. Not only was he personably to adults and students, he interacted with the crowd. When he called to get details about our event, it was clear he was personalizing the experience for our event. He took requests and was able to judge what was appropriate or not. I had no hesitations about the music due to his professionalism. Overall, this was one of the best DJs, companies I have worked with when putting together school dances! Jesse did an amazing job at our wedding! Everyone had a great time! He even kept it all going while getting rained on. It is all very much appreciated. The service is personal, customized and complete! You don't have to worry about anything, the people were personable and everything was perfect! Jesse was our DJ & was incredible! So much fun and made our day seriously the best! I’ve been a part of a lot of weddings & also attended tons so I know how important the DJ is in making the day special. Several guests came to me & complimented him on how awesome it was! We loved our DJ, Jesse! He went above and beyond and kept the party going. He was willing to accommodate all of our requests and even helped us create a plan for the reception. During the ceremony he helped direct the wedding party and made sure everything went off without a hitch. During the reception Jesse kept everyone entertained and involved in the night. Jesse helped make our wedding memorable. Dj Corey was amazing, so friendly and helpful. Had tons of compliments from our guests. He jumped in to help in any way he could without being asked. Couldn’t be more pleased with his services. We would definitely recommend him to any of our family and friends in the future. Thank you for making our special day better than we could have ever imagined. They were all fun and a complete joy to be around!! We had a blast! The music was awesome! The photo booth was so much fun!! And of course we can’t wait to see the photos and video they were just outstanding!!! Thank you so much Kelsey, Tarran, Emily, DJ Rachel, and DJ Cory!!! We have already referred you to friends!!! Our DJ (Cory) was awesome to work with. He was very accommodating and helped ensure that the night went smoothly. We were very pleased with him and Complete. Cory and Mikaila did a fantastic job entertaining and interacting with the guests. They kept the guest involved. They were both very helpful and attentive to any needs during the dinner portion of the evening. Far above and beyond!! The DJ was helpful in many ways even outside of DJing! The dj was great. I like how attentive he was to the small details. The online form is great too. From big days to school dances, bat mitzvahs to corporate gatherings, our Complete Weddings + Events NW Arkansas DJs work with you to create the perfect event, with professional party motivation and expertly coordinated announcements.